Welcome Fletcher Hotel-Restaurant Frerikshof in Winterswijk. 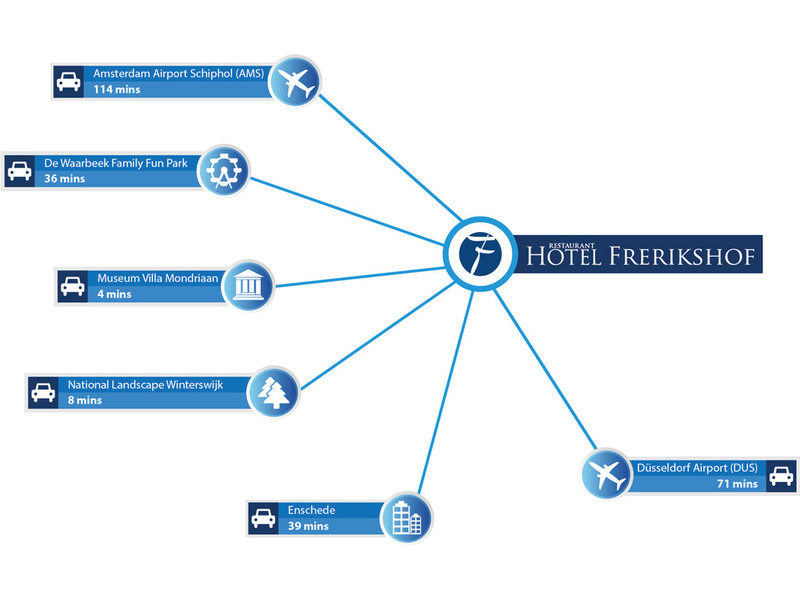 This modern and luxurious 4-star hotel nearby the German border provides the necessary facilities, which contribute to a perfect stay. Fletcher Hotel-Restaurant Frerikshof in Winterswijk offers comfortable facilities during your stay. Discover The Achterhoek right at the doorstep of the hotel with our (e)bike rental service. You can make use of the sauna or the heated inside swimming pool. For an active afternoon you can choose to go bowling, jeu-de-boules, table football and table tennis. In the new, culinairy hotspot Bar Bistro DuCo you can enjoy an extensive lunch or a delicious dinner prepared in the Josper charcoal oven, for an unique taste sensation. On clear days you can enjoy the wonderful terrace van het hotel. 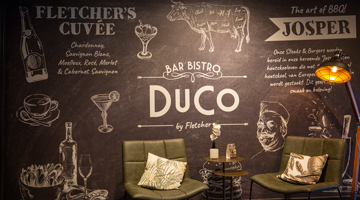 The multifunctional meeting rooms and Bar Bistro DuCo are also ideal for business purposes. The Achterhoek is famous for its historical cities and stunning landscapes. 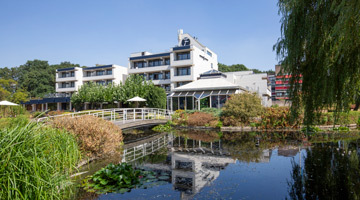 The surroundings of the hotel in Winterswijk has a variety of Sakson and Scholten farms. The region is well-known and loved for its vin yards and authentic windmills. With the many facilities the hotel offers, you are guaranteed a wonderful stay. 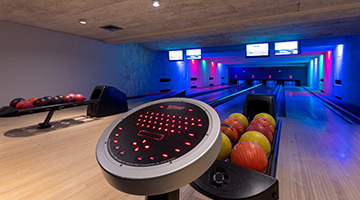 An indoor pool, jeu-de-boules lane and bowling alley provide something to do for everyone. Afterwards, you can enjoy the restaurant, the lounge or the bar. In the vicinity of the hotel you will not be bored for a minute. 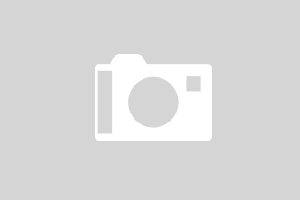 Explore the beautiful nature of Winterswijk on foot or by bicycle. There are also two vineyards located in the vicinity of Winterswijk.